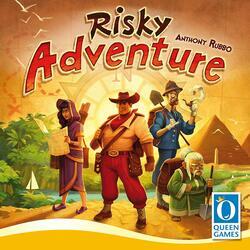 In Risky Adventure, players embark on expeditions to find rare artifacts in unexplored worlds. Each player supports three adventurers and rolls the dice for the right combination of equipment, artifacts and unexplored locations. But they will have to set goals before rolling the dice, so it will be up to the players to anticipate to win the game!